CAPES [something empowering] I’m no over-achiever and I’m no under-achiever. I’m just an achiever. COFFEE [latest trend or addiction] I got these stockings as stocking stuffers for my brothers, only to find out they would never wear them. 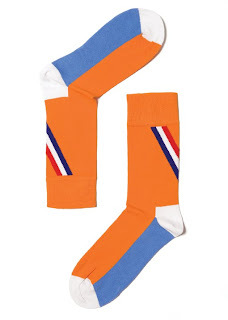 So, I guess that means two new pairs of Holland Happy Socks for me, yes! THE COLOR ORANGE [something noteworthy] Find a balance between the reality/expectation split-screen* of your life. Keep expecting, while staying grounded in reality.